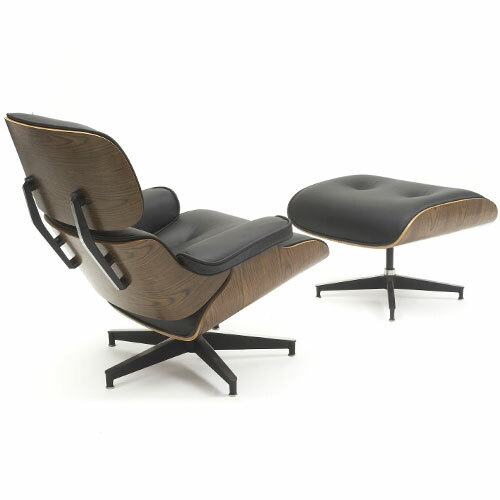 Designer: Charles & Ray Eames, 1956. 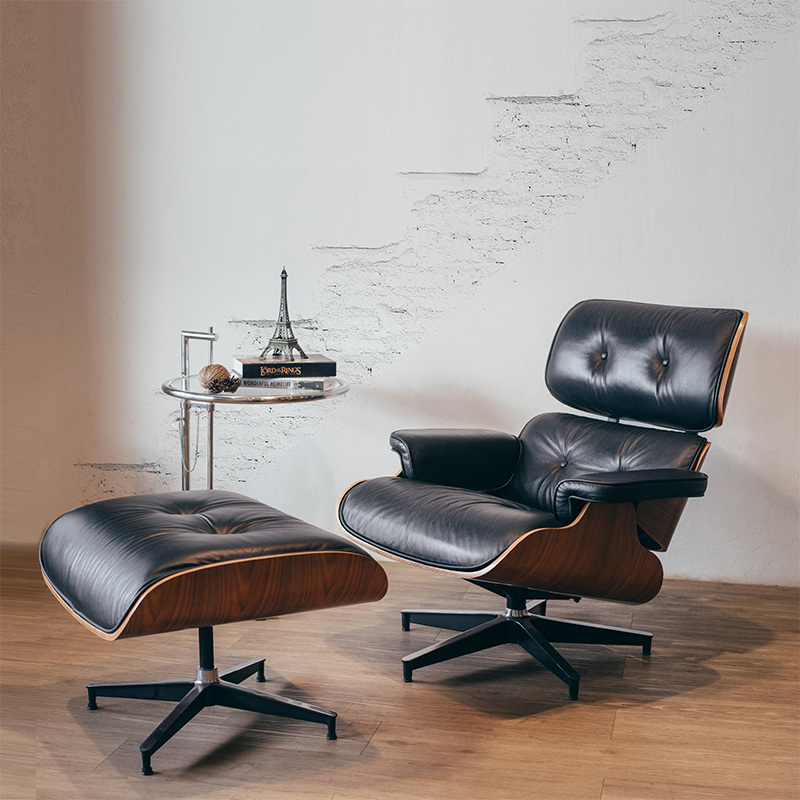 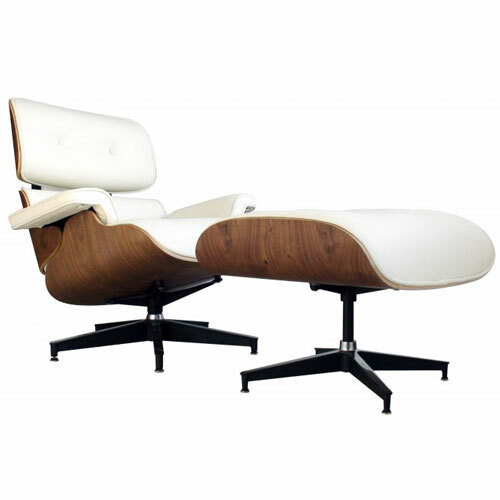 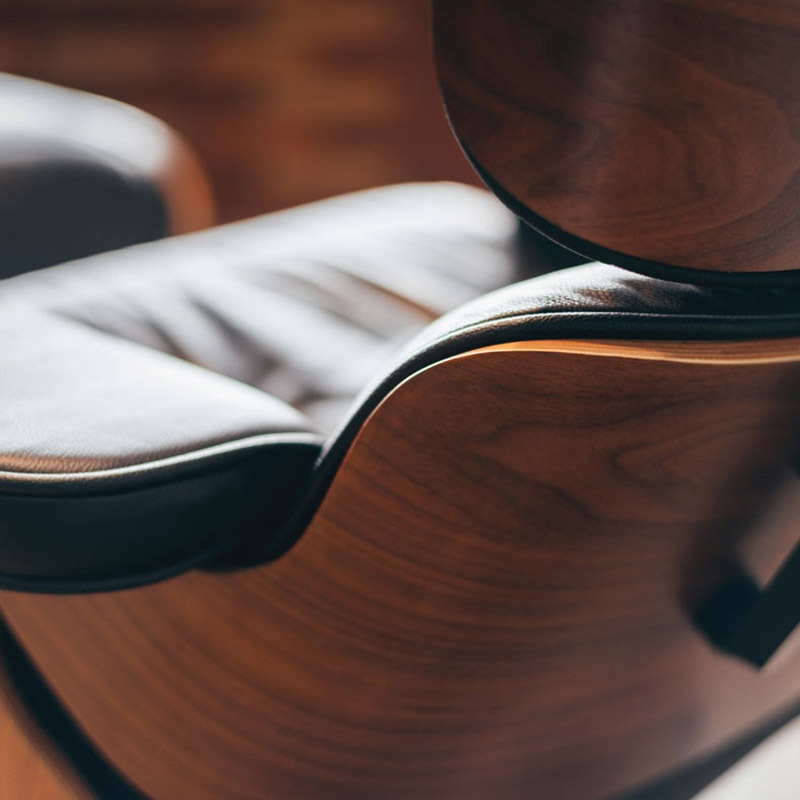 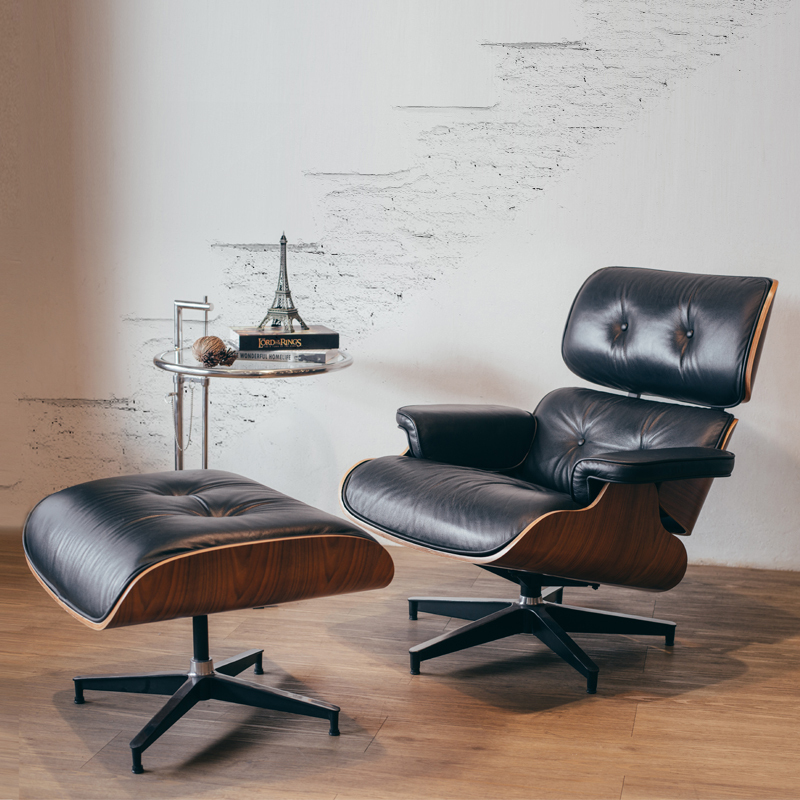 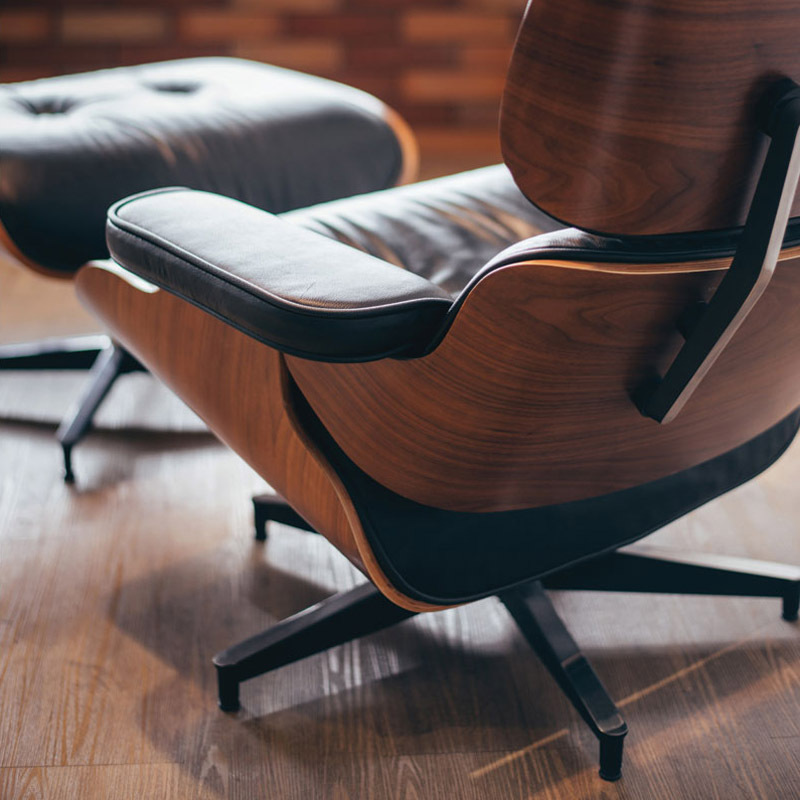 The Eames lounge chair, an icon of modern design, is considered among the most significant and collectible furniture designs of the 20th century. 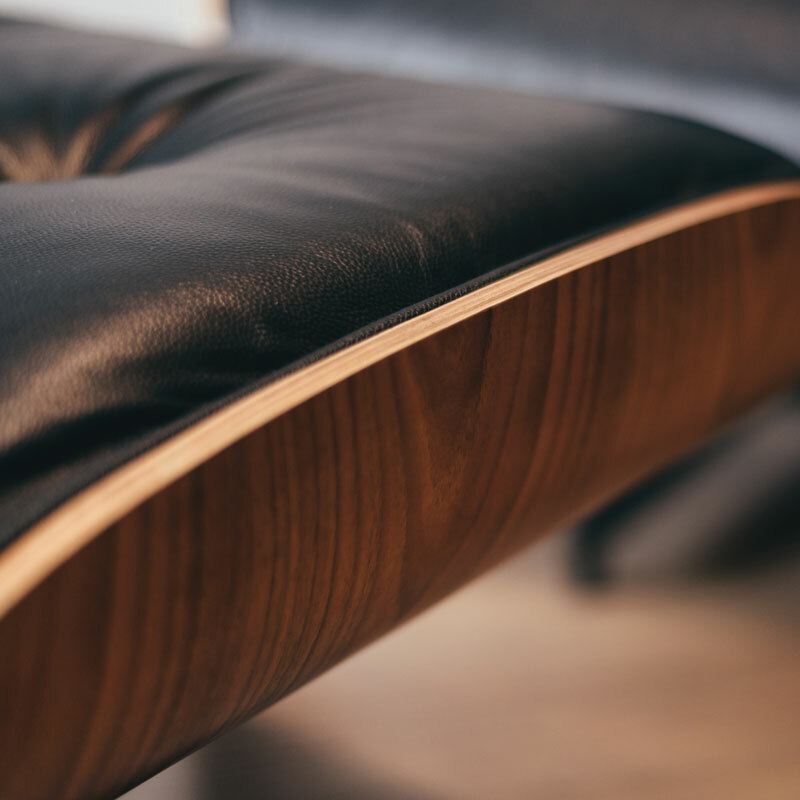 The lounge chair and ottoman are constructed with 7 layer bent plywood which is carefully moulded to create those famous curves with a real timber veneer finish. 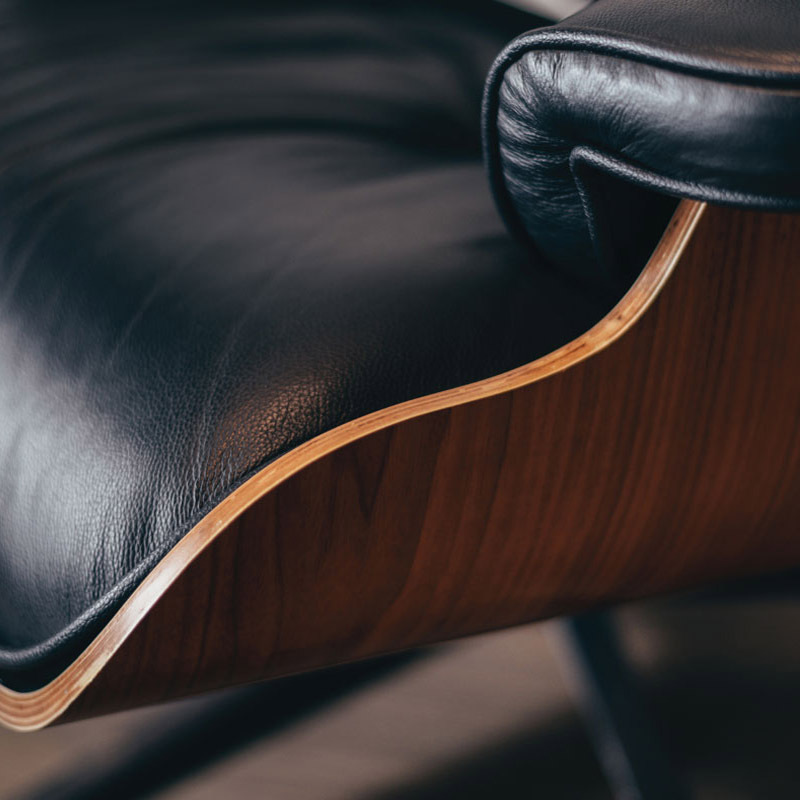 The seat cushion is entirely covered with the finest leather, and filled with comfortable high density polyurethane foam. 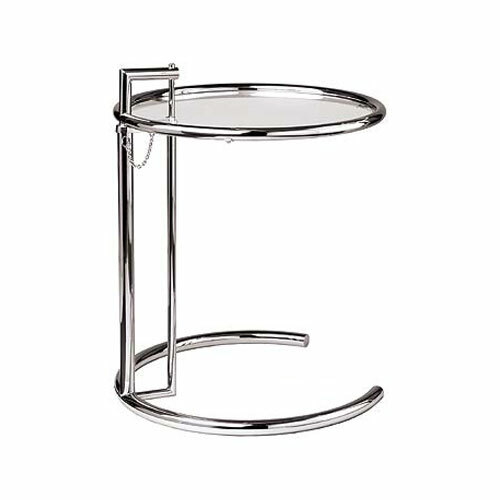 The base is in stainless steel with five-star, black powder coated die-cast aluminum base plus adjustable stainless steel glides for uneven floors.